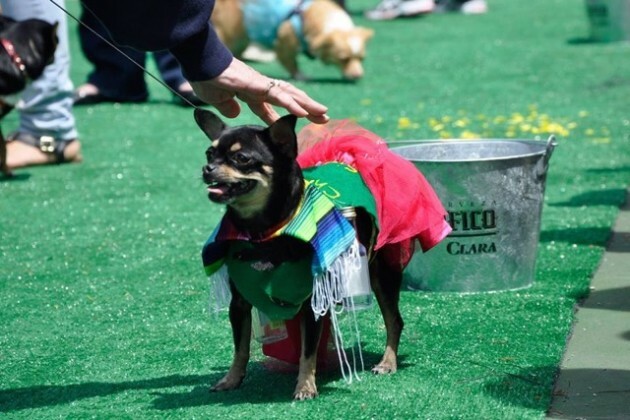 Local Chihuahuas will race along the Southwest waterfront this weekend in celebration of Cinco de Mayo. 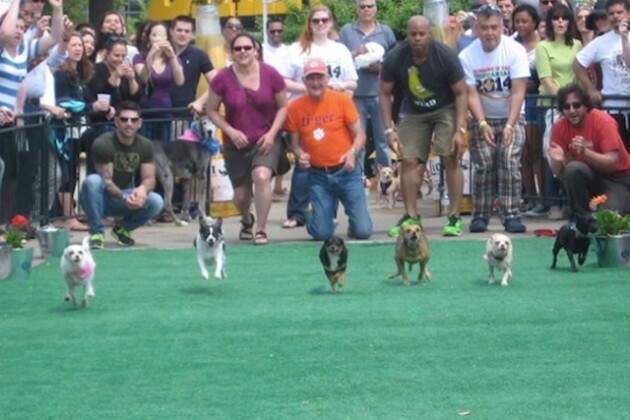 The “Running of the Chihuahuas” will return Sunday for a fourth year on the waterfront, between 6th and 7th streets SW. The event for charity will run from 1 to 4 p.m.
Only Chihuahuas or Chihuahua mixes are allowed to race, but other breeds can participate in the best dressed dog and best trick contests. The cost to race is a $20-per-dog donation, which will go to Rural Dog Rescue. The nonprofit organization, founded by Howl To The Chief owner Kim Hawkins, takes in dogs from rural shelters that have euthanasia rates of at least 80 percent. Only 96 Chihuahuas can participate in the race. Owners can register their dogs online until Friday. The Chihuahuas will run in heats that have as many as eight dogs. The winners then will compete for a first-place prize of $150, a second-place prize of $100 and a third-place prize of $50. Owners must clean up their dogs’ waste and can’t “throw, push or in any way give the dogs a head start at the beginning of the race,” according to rules for the contest. Organizers also noted that the judges aren’t professionals. Cantina Marina (600 Water St. SW) will host a dog-friendly after-party. The bar, along with The Wharf, On Tap Magazine and Corona, are involved in the race.